Happy Sunday! 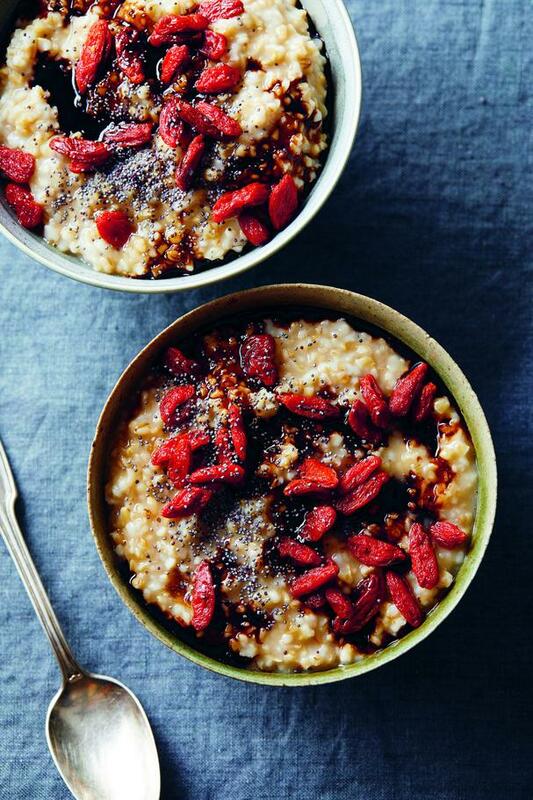 We're kicking off Day 4 of our Gut Health Series with this good-for-your-belly Balsamic Goji Oats recipe. This easy breakfast is from health coach and chef Jennifer Iserloh's latest cookbook The Healing Slow Cooker. 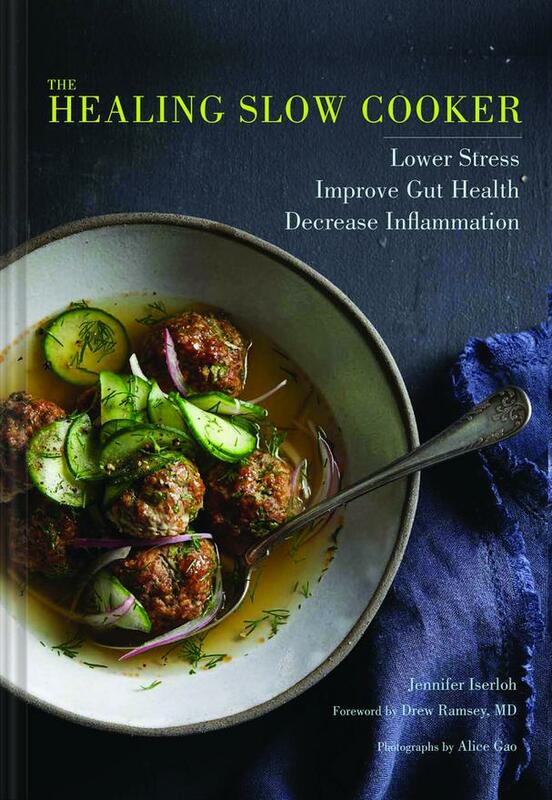 This gorgeous new cookbook - aimed to lower stress, improve gut health, and decrease inflammation - contains more than 60 hassle-free slow cooker recipes that address different stages of healing: Detox and Calm, Rebuild and Strengthen, Circulate and Stabilize, Sharpen and Rewire, Sustain and Protect, and All Systems Go. Each chapter contains specific healing ingredients that help lower stress, decrease inflammation, and improve gut health. Plus, each chapter also includes a detailed guide to the featured ingredients and how each will help nurture and heal. This nutritious breakfast will soothe your belly and get you ready for the day! Make a big batch and store in the fridge to eat all week long. Place the oats and 4 cups [960 ml] water in the slow cooker, cover, and cook on the high setting for 2 to 2½ hours, until the oats are tender. Stir in the balsamic vinegar, brown sugar, poppy seeds, and goji berries. Spoon into bowls and serve immediately. Recipe and excerpt reprinted with permission from Chronicle Books. All rights reserved.